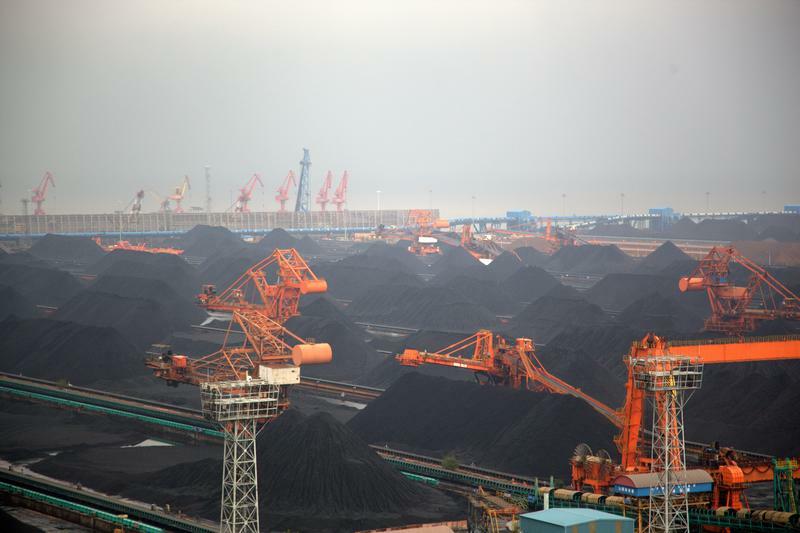 Coal use in China is falling this year – according to official data reported in the Chinese press. It is the first time this century that China has seen year on year quarterly falls in coal use. The Chinese economy continues to grow by 7.4%. The data suggests the world’s largest economy is finally starting to radically slow down its emission growth, and it comes ahead of key talks next year on a new global climate and energy deal. The latest 3rd quarter data reinforces a trend towards falling coal use which started in the second quarter of 2014 and suggests China’s annual coal use may end up down on the previous year. Significantly the latest data showed that even as power consumption grew by 4% (based on government data) coal demand for power generation actually fell by 1%. The drop intensified in August and September, with slow power demand growth and large hydropower additions conspiring to reduce power sector coal consumption by 11%. Economic growth without the carbon? Quarterly economic data is volatile and the falls in coal use may be reversed – not least if China pursues ambitious plans for a batch of new coal-to-gas projects. However the data suggests that economic growth in China is no longer leading automatically to higher coal consumption and CO2 emissions. China’s statistical agency notes that growth was increasingly coming from the service sector instead of heavy industry. The two main energy and CO2 intensive products, steel and cement, cooled down after some export-led growth in the first half of the year, with cement output dropping 2% on year in September and steel output growing a mere 1.7%. High-tech manufacturing also sped well ahead of energy intensive industry allowing economic growth without the same level of coal use. The past 12 years saw the size of China’s economy triple, fueled by a doubling of coal consumption. The link between coal fuelled power and economic growth is such that economists have long used electricity consumption growth rates as a proxy for GDP growth. In fact the growth of coal use in China was responsible for most of CO2 emission growth globally, and propelled China’s per capita CO2 emissions past the EU average. If this model for economic growth had continued, until all Chinese citizens reached western standards of living, keeping climate change within safe limits would have been impossible. The change in this economic model is down to more than the rise of China’s service sector at the expense of concrete and steel. The chief economist for China’s central bank recently argued that, along with the greater role of the service sector, public concern for the environment and particularly for air pollution is driving a restructuring of the economy. Indeed China is in the midst of preparing its next five-year plan for 2016-2020, which is likely to be single most important document for the future of the climate. Some of the trends, like structural change of the economy, are to an extent economic necessities, and others, like improving air quality, are political necessities. However, how fast and smoothly the changes unfold depends strongly on the targets in the five-year plan. Initial proposals from China’s National Energy Agency would limit the growth in coal consumption to 2%, while wind power capacity (already the largest in the world) would more than double and solar capacity would grow more than 5-fold from 2013 to 2020. Whilst the proposals in themselves signal a radical departure from the rapid growth in coal use over the past 10 years, China can do better. The pledge that the top leadership made to peak CO2 emissions “as soon as possible” and the public demand for clean air should translate into peaking coal use before 2020. That will set the scene for next year’s negotiations in Paris.